For any confined space, soundproofing and airflow are two aspects that must go hand in hand. 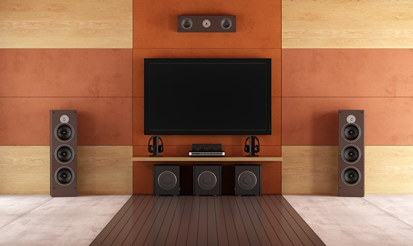 If soundproofing is not planned properly, it can lead to a lack of air and flow within a room. This can be harmful to the owner. Hence, it is important that airflow be taken into consideration when planning to soundproof a room. What is the Connection between Soundproofing and Airflow? The basic objective of soundproofing is to reduce or fill in any cracks or crevices through which sound can leak outside a room. However, filling such spaces also leads to the constriction of air flow. This can lead to the room feeling stuffy, and can intensify odors. If a group of people come into the room, then the possibility of germs and odors will increase tremendously. For these reasons, when planning to soundproof a room, a solution for effective ventilation must be provided. How can Airflow be Maintained in a Soundproof Room? A simple solution is to install a blower in the room. This can provide a good amount of airflow so that the room won’t feel stuffy. When soundproofing is in the planning stage, cold air outlets can be designed into the construction layout. The outlets can be constructed into the walls or the ceiling of the room, thus ensuring a constant flow of air. Air conditioners or similar systems can be used for heat and cooling purposes. While these solutions are certainly applicable, soundproofing experts suggest one particular product – air purifiers. This product is for the simple reason that it is completely different cover-ups or air filtration ideas and systems. Purifiers are a class apart from another ventilation solutions, as they are specifically designed to eliminate smog, odors, and smoke from enclosed spaces. These systems are popularly used by establishments such as hospitals and restaurants to get rid of air laden with bacteria, or eliminate smoke from the restaurant premises. There are numerous air purifying products out there. However, experts always recommend the Eco-Quest Air Purifier. Also known as an Air Fresh Buddy, this product is a personal air purifier designed for compact rooms. It is a battery powered unit, which can be used in private rooms, as well as public places.? The purifier ensures that various types of contaminants, including dust, germs, odors, allergens, molds, and smoke, are repelled from individuals in an enclosed space. Thus, the room will always comprise clean air. The use of Eco-Quest is extremely suitable for application areas like recording studios. It maintains a high level of breathable air, while ensuring that the quality of sound does not diminish. Generally, bacteria and viruses sized 0.04 and 3 microns are found in most rooms. The Eco-Quest has been scientifically proven to reduce contaminant particles within this range. Using the soundproofing air purifier will also eliminate the risks that come with inhaling hazardous aerosol particles. This makes Eco-Quest the ideal product for confined spaces such as theatres, aircraft cabins, and industrial testing chambers. The device is compact in terms of size, making it extremely portable. It can be used indoors as well as outdoors. However, manufacturers recommend using the purifier indoors most of the time, as its performance will be more effective. Interested in ordering the Eco-Quest air purifier? You can order it by logging onto http://www.soundproofing.org/. With the Air Fresh Buddy, you can look forward to clean, breathable air in your application area, allowing you to work effectively on a daily basis.